A new era is upon us! ! The winds of change are altering restrictive barriers and stereotypes for women and ultimately reshaping the face of business and technology as we know it. 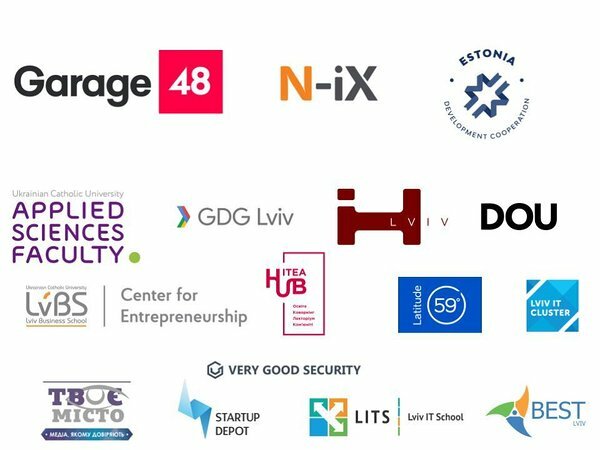 Garage48 Lviv Empowering Women hackathon, in partnership with N-iX and the financial support of Estonian Ministry of Foreign Affairs under the Fund for Development and Humanitarian Aid, has began in this beautiful city of Lviv, Ukraine. The atmosphere is fully packed with innovative ideas and the vibes are high! We have 105 participants and over half of them are women! We even have a full team from Estonia, who took a 17 hour long roadtrip to join us on this amazing event! The opening marks came from Gert Antsu , the Ambassador of Estonia in Ukraine. 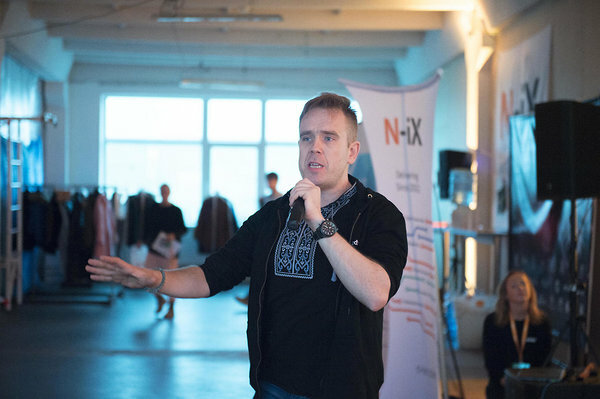 From those empowering words we started the idea pitching, We had 22 ideas pitched from what 20 teams were formed. A software that will recognize customers by looking at their faces. A mobile app which will use face recognition in order to know the client when they walk into the coffee shop or a store. An application that will help parents to monitor their children in school tasks. An app that syncs between parents, students and teachers about their school work. Your own device via Google Alexa. Control your DIY device by voice. It will be easier for you to control your device and to make a few tweeks. Goal is to unite qualified people and encourage mutual help. Solution: platform for providing and getting qualified services from trusted users. Earn virtual hours and spend them on services that you need. An app that will help you to boost your confidence. It will work on 4 main emotional states: confused, angry, insecure and nervous. It can be used before cold calling, sales, exams etc. A platform that will help you to share the discount code with other people. It collects discount codes and you can share them with others. An app to make prescription more readable and digital. Digital database for private and public clinics. We wish to be supported by pharmaceutical companies. Distributed secure testament data warehouse. An app that secures and encrypts your testament data/info and holds it. A mobile app that can help you fall in love with the right person without wasting your time. A unique dating app that gives you advice and notifications about the activities you did together. Network for 16- 17 year old orphan girls in helping to create better job prospects and training courses with mentorship from IT companies. An mobile app for medical online data management and first doctor-patient social network. Easy to use, 24/7 data access from every device, making it very user-friendly. An application that helps you organize events better. It helps you to think about all the thing you need to to for the event and helps you to properly manage one. An app to give users confidence when buying shoes online. It will be a service for the shoe shops, that collects data about sold shoes and the sizes of feet. Thus, it can help to predict if some pairs of shoes will fit right on customers feet. It will improve the shoe-buying experience and it increases shoe shop income as a result. An app for allergic people. You can get more information over ingredients and what type of allergies they give. You can scan the barcode or take a photo of a product when you go to a store so you know what products you can or cannot have. You can insert also those ingredients that you don’t want to have in the product. Film festival organizing made simple and cheap with Pipedrive’s public API. The idea is to build an app on top of Pipedrive’s public API to simplify the Film Festival organizing. It is easy to use, key features include the ability to specify were the guest is right now. The target group is the organizers. An app offering cleaning services by using this app you can find the service for cleaning. Easy to use. It's like a bidding platform, where you can get the best prices with the best quality. An app that helps you and your friend to find common music tracks to listen too.It creates music playlists based on the user preferences. As host, you can control the playlist and also restrict the playlist. Regional area visualization of the work/life balance. Based on the psychology. It directs you to what you need to improve. Healthcare project. A platform that is paste on the blockchain, were we can store all the medical data for patients, doctors. The patient can decide who will give his information too. 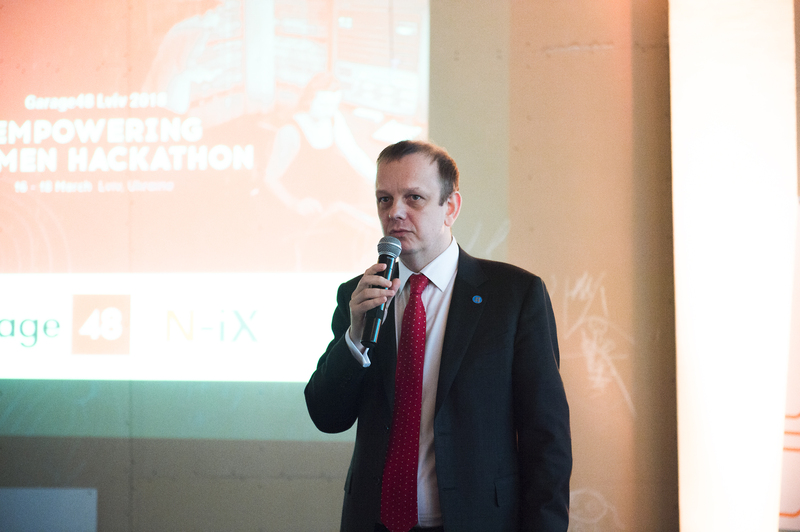 It will be for hospitals, market is aimed towards European companies, hospitals. Home-made food delivered to your doorstep.. An app to connect the people who cook home made food and these who want to buy it. Web solution + mobile app. A product with a sensor to detect air pollution and make us change our habits. An idea is to build awareness on this issue and measure the air around Ukraine. Have fun, be strong and creative! Let the non-stop hard work begin! This project is done with the support of Estonia Ministry of Foreign Affairs Development Cooperation.